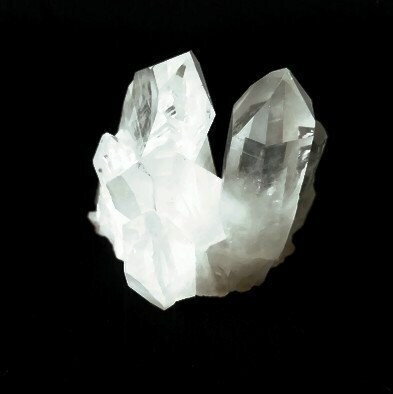 This cluster has rare formations for the two main crystals. 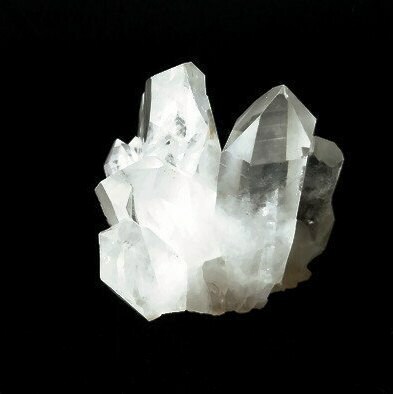 The largest crystal in this cluster is tabular also known as a "Tabby" or even "Tablet" as in book. 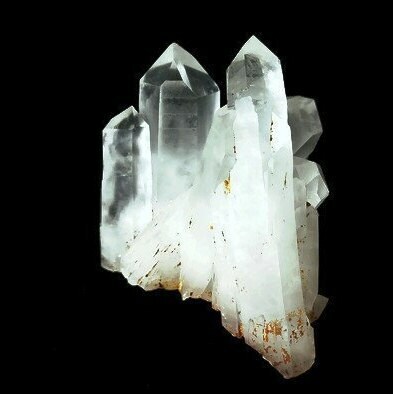 Tabby crystals are thought to be help with communication. If two people don't see eye to eye, these types of crystals may help bridge their thoughts and speech. It can also help with other forms of communication, such as writing. Tabby crystals are shaped in a special way. Four of the sides are thin while two sides are at least twice as wide giving a flat "book" look. 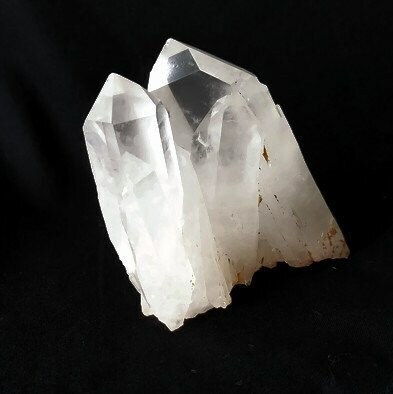 The other main crystal is a rare eight sided faced grounding crystal. 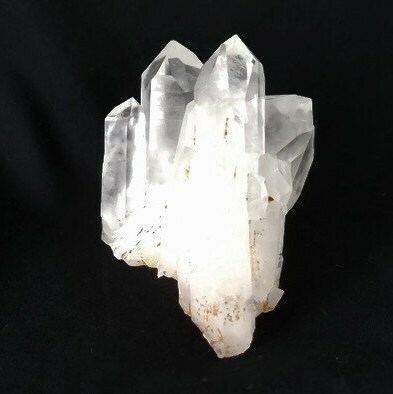 Grounding crystals are good for staying focused and keeping thoughts from jumping around. 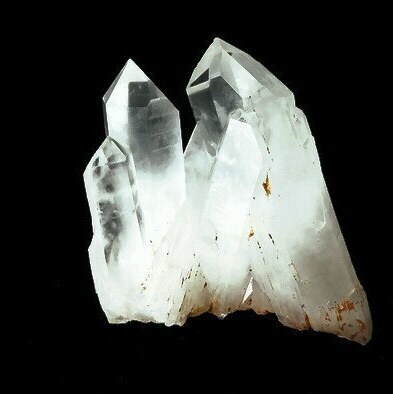 All quartz crystals have six sides, but the faces can have more or less. This can be found by counting the edges around the faces. The pictures don't show how wonderful this cluster is in 3D. 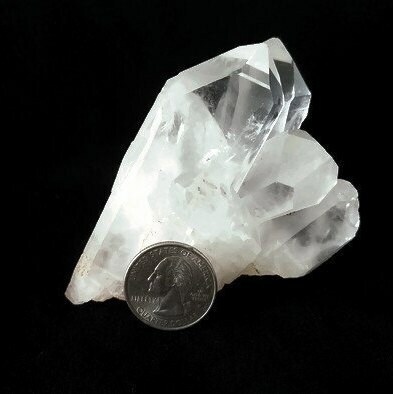 The tabby is quite an interesting crystal to observe from different angles. 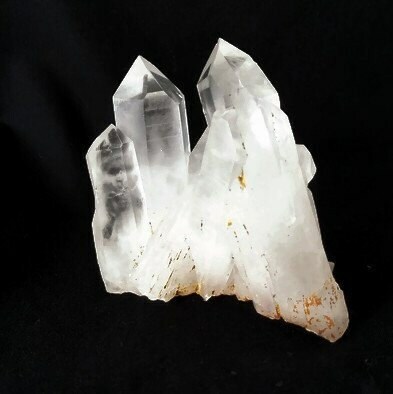 This cluster has nice clarity at the upper portions, but also has hematite on the bottom and lower sections also adding to the grounding qualities.